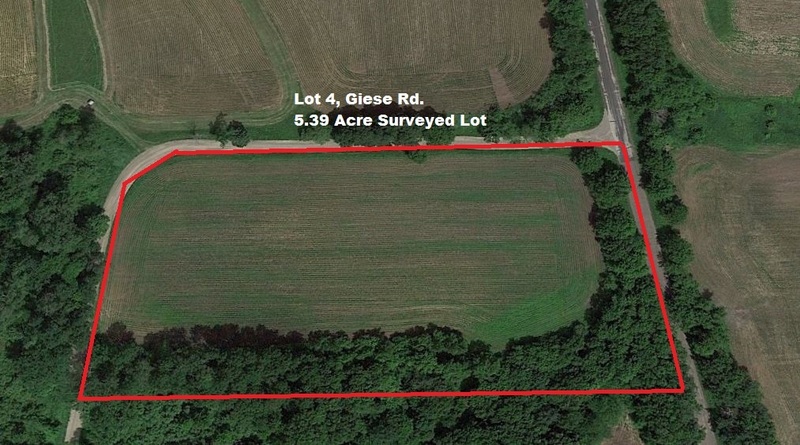 Lot 4 Giese Road Alma Center, WI. | MLS# 1527873 | Clearview Realty in Hatfield Wisconsin. Helping Hunters, Families, and ATV'ers list or buy property for 15 years. Serving both Wisconsin & Minnesota. Hidden away in Garden Valley is a 5.39 acre property for a country home, cabin, or a place to set up the camper! Great location just outside of Alma Center in Jackson County, this corner lot offers a gradual slope to the woods for the perfect backdrop to your next home. Plenty of open space for gardening or food plots; lots of wildlife in area & on this land. No restrictive covenants and more land is available to purchase.